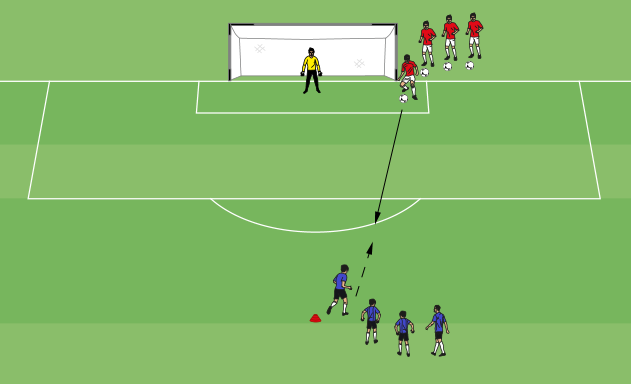 Competitor Spot - Page 13 of 14 - World class soccer drills, workouts, and advice. Hunters & Rabbits is an excellent game for young players to develop passing skills on the move. This is a fun dribble tag game that works really well with younger players although it can be enjoyable for older players too. This drill is ideal to help players work on keeping possession of the ball with a minimal amount of pressure. It is also helpful to encourage movement on offense. 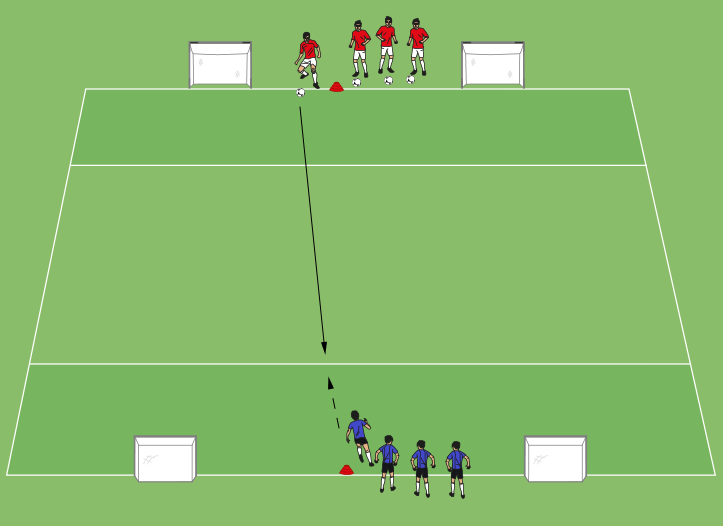 This game helps players learn how to break down defenses by moving the ball collectively and advancing into goal scoring positions. 1v1 to mini goals is a common variation of 1v1 that is easy to implement and simple for players to understand. It is a great go to 1v1 drill due to it’s simplicity. This game does away with traditional formations because both teams can score on any of the four goals. By being able to attack in either direction, soccer players will want to stretch the field and spread out on offense. This is a common variation of 1v1 going to goal to develop excellent attackers and defenders. Diagonal Attack is a game where players can score on two goals on adjacent end lines. Points for goals & passes is a great game that rewards players for keeping possession of the ball in addition to scoring goals. Flying changes is a fast paced, back and forth 1v1 game that players will enjoy.